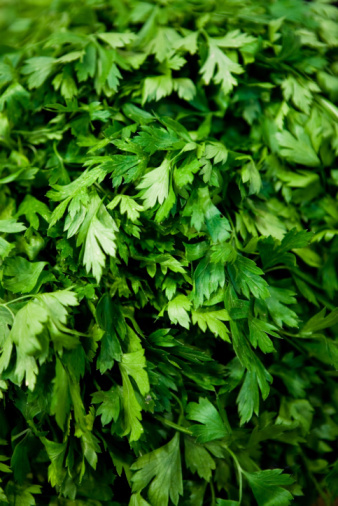 Rich in vitamins and minerals, greens are a popular crop among home gardeners in early spring and autumn. 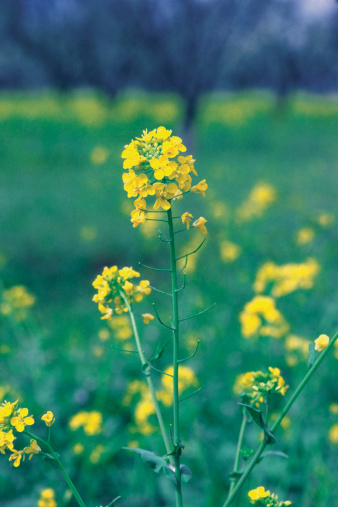 Collard greens and mustard greens are just two of several types of greens available for planting. They tolerate – indeed thrive – in cooler temperatures; however, that is where the similarities end. Collard greens are members of the cabbage family that includes broccoli, Brussels sprouts, cauliflower, kohlrabi and kale. Mustard greens are considered an herb and part of the mustard family of plants whose seeds are used to create the condiment mustard. While growing, they resemble some loose-leaf lettuces. Collard greens are highly nutritious with a taste similar to but richer than cabbage. Mustard Greens are usually grown from seeds and harvested when young and tender. Mustard greens are generally sown from seeds and harvested when they are young and tender. 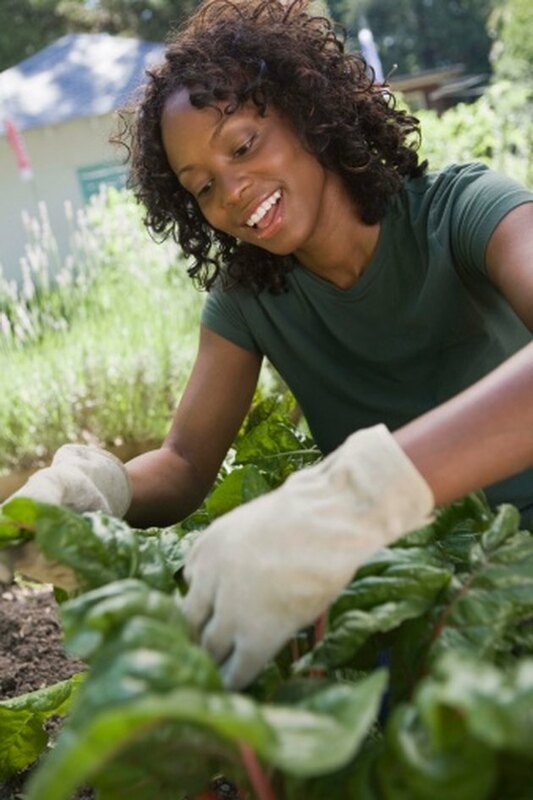 The optimum time to plant is August to March, depending on the temperatures, in full sun. Too much heat causes leaves to be tough and strongly flavored. According to Texas A&M University's AgriLife Extension, first harvest will usually come about 35 to 50 days after the seeds sprout. Planting should begin as soon as the soil can be worked in the spring. Seeds will sprout once the soil temperature is 40 degrees Fahrenheit or higher. In the fall, plant 10 weeks prior to the first expected frost. Collard greens can be grown from seeds or transplants. Transplants are usually used for a spring crop and add four or five weeks to the growing season because they can be started inside before it is warm enough to grow outside. The optimum time to plant is March to October in full sun. As noted in Texas A&M's AgriLife Extension's guide for gardeners, seeds sprout when the soil temperature reaches 45 degrees Fahrenheit, and seeds will sprout in six to 12 days. The number of days to harvest is 75. Autumn plantings should be about 80 days before the first expected frost. In mild regions, such as south Texas and coastal areas, gardeners can expect collard greens to produce most of the winter. Plants can tolerate temperatures of 20 degrees Fahrenheit or less in some instances. While both collard greens and mustard greens are plants that thrive in cooler temperatures, their basic structures are radically different. Collard greens -- also called the tree cabbage -- grow from an upright stalk that is usually topped with a rosette of leaves. The broad, blue-green leaves that are harvested grow below a rosette, are not frilled and texturally resemble the rosette leaves from a head of cabbage. Mustard greens grow in bunches low to the ground. Leaves are usually harvested young and while tender. Depending on the variety, the deep green leaves are often curled and tend to trap sand from the garden, requiring thorough washing before consumption. Collard greens and mustard greens should both be thoroughly washed before preparation and consumption. Harvest time for mustard greens can be extended as long as the plant is not allowed to mature. The tender, young leaves should be regularly harvested, leaving enough inner leaves to allow continued growth. Once the plant is allowed to flower, the leaves are considered too tough and bitter for consumption. Mustard greens can be stored for up to a week in the refrigerator crisper drawer if they are wrapped and unwashed. In the South, the leaves are boiled with salt meats or potatoes as a side dish; however, young leaves can also be used uncooked in salads. 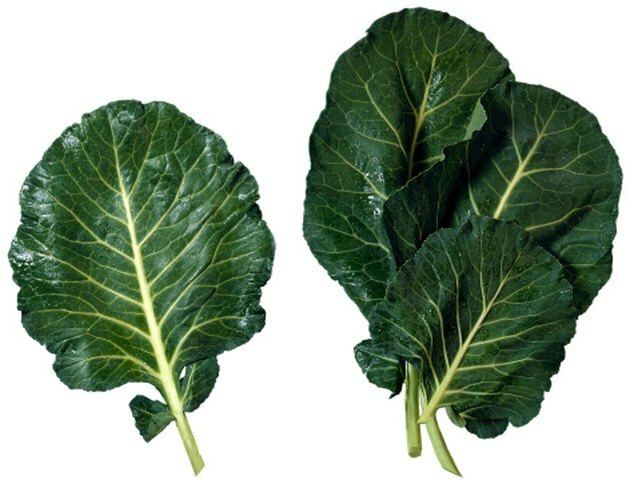 With collard greens, the lower leaves can be harvested as they reach full size, leaving the growing bud and young leaves to produce more leaves for a later harvest. All green parts of the plant are edible and may be harvested at any time. Some gardeners like the tender leaves of the inner rosette of young growths. 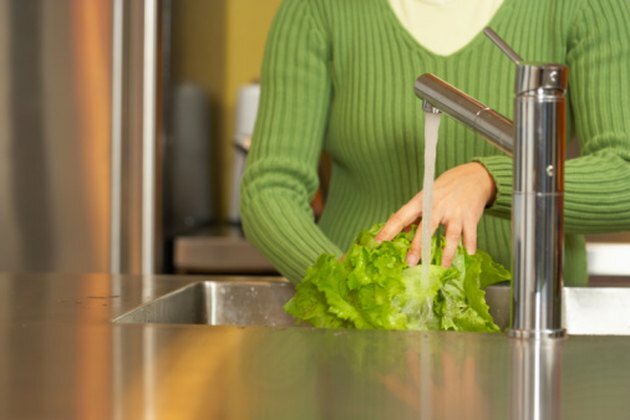 If you need to store your harvest, wrap unwashed leaves in moist paper towels and seal in a plastic bag. They should remain fresh for four to five days in the refrigerator crisper drawer. When ready to use, the leaves should be washed thoroughly. Common preparation of the leaves in the South is boiling them with potatoes, turnips or meat salts as a side dish; however, in other regions it is common practice to also add the boiled leaves to pasta dishes or rice dishes. Jeff Benson has been a professional journalist since 1987. His writing and photography have appeared in "The Ruston (La.) Daily," "The Delta Democrat Times," "The Sun Observer," "The (Minden, La.) Press-Herald," "The (Shreveport, La.) Times" and "Private Pilot." Benson has a Bachelor of Arts from Louisiana Tech University in journalism.